Swarm was a project and performance celebrating the 20th anniversary of Artscene, a Los Angeles based magazine at the Los Angeles County Museum of Art (LACMA). 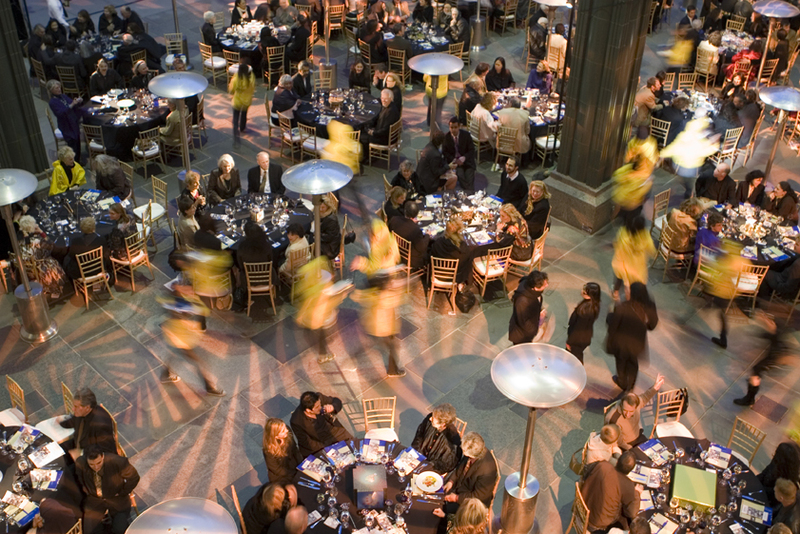 The performance featured 100 students from Fairfax and Culver City High Schools engaged in a party inside a café in full view of dinner guests at a sedate award ceremony. The theme was a reflection upon the extensive contributions of women artists in the Los Angeles area. 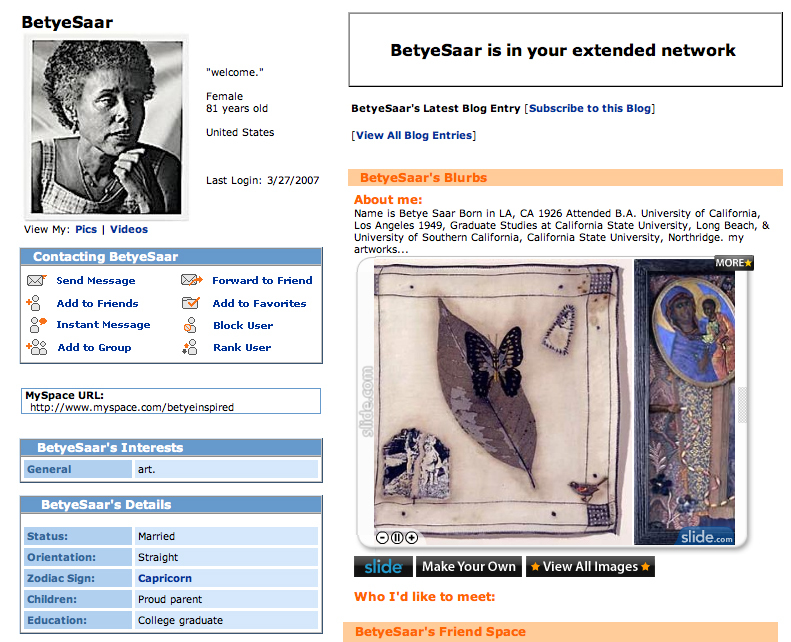 In preparation for the performance, students at the high schools researched and interviewed a list of 25 women artists and created online MySpace pages for them, gaining an understanding of the significant role of women artists in the city’s history. 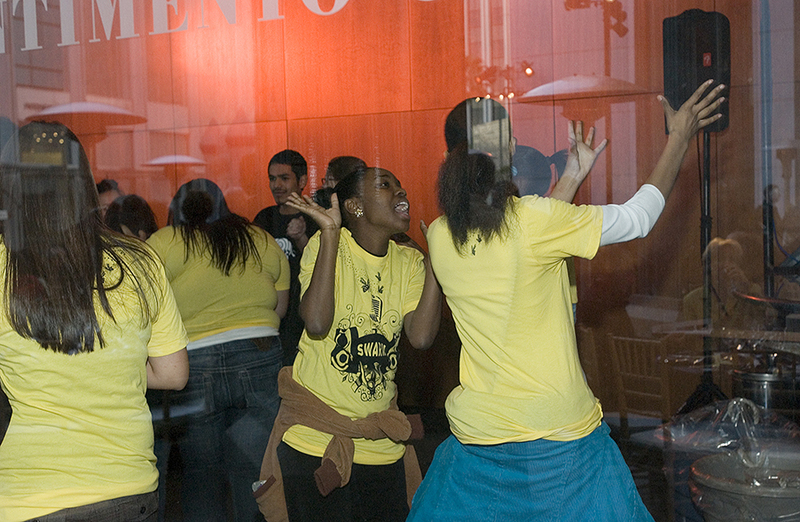 During the dinner, the students wore bright yellow t-shirts for their party inside the café; periodically groups of young people dashed out of their party during interviews held inside. 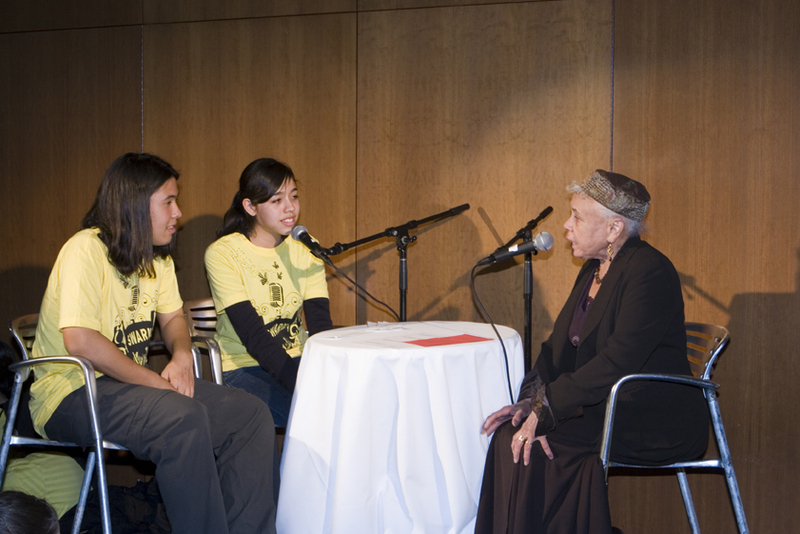 These interviews with some of the key figures in local feminist art history, like Judy Baca, June Wayne, and Betty Sayre, were broadcast to guests via boomboxes held by the youth. A radio tower built by Jeff Cain broadcast the interviews over a pirate station throughout the neighborhood. Live video footage from the youth party was projected onto the walls of the museum.